Celebrities Are Used to Having Fans, but What Happens When a Celebrity Becomes Your Brand's Fan? Nothing says summer like riding with the convertible top down and blasting some tunes on the radio. Restaurants can get in on the summer fun, too, by leveraging pop culture hits to entice customers through their doors. The last brand to benefit from the Beyonce effect was Red Lobster, who saw a sales spike after Queen Bey called them out in her 2016 Super Bowl debut of “Formation”. 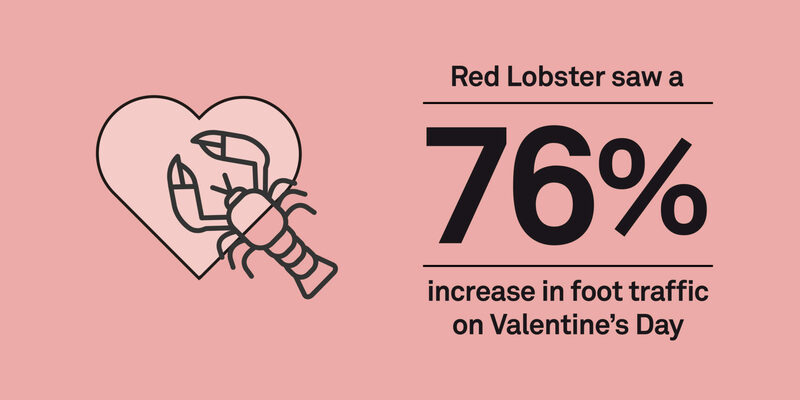 In today’s world, it’s no surprise consumers like to behave like their favorite pop culture icons, and Red Lobster is a great example of that. It’s been two years since the release of “Formation” and the brand is still feeling the love. On Valentine’s day this year, the company saw a 76% increase in foot traffic, according to GroundTruth’s Restaurant Foot Traffic Report for the first quarter of 2018. What brand might be next to benefit from a celebrity name-drop, you ask? A top candidate could be Little Caesar’s, which got a shout out from Cardi B in the song “Best Life” on her new album. With any luck for the pizza chain, customers will start clamoring for Little Caesar’s pies. While celebrity endorsements are great, regular people can generate buzz, too. In today’s social media-mad world, anyone can be an influencer and a pretty picture on Instagram is worth far more than a thousand words. Starbucks proved that they are in on that secret by promoting post-worthy drinks like Unicorn, Zombie and Crystal Ball Frappuccinos, which lit up not just Instagram but also Snapchat, Facebook and Twitter. The buzz translated to real-life customer visits. 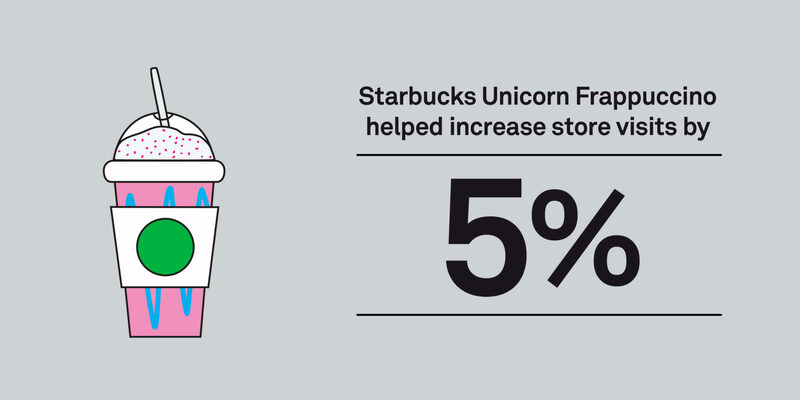 All three drinks were correlated with an increase in foot traffic, especially the Unicorn, which bumped store visits by 5%, according to GroundTruth’s foot traffic insights. So what will be this summer’s most insta worthy taste treat? With temperatures heating up, we’re betting on a slushie showdown. Burger King was an early entrant with its Frozen Fanta Lemonade Slushie, but Taco Bell is a strong contender with its Strawberry Skittles Freeze, which some partakers swear lets you “taste the rainbow“. Sonic, though, is upending the entire contest, with a new entrant whose success may well depend on how many pregnant women are out there this summer. In June, it’s adding green to the frozen drink rainbow, with a Pickle Slushie. And who wouldn’t want to try it, out of curiosity alone? If it takes off, Sonic is likely to leave its competitors green with envy. Download our Q1 Restaurant Foot Traffic Report for more location-based insights.